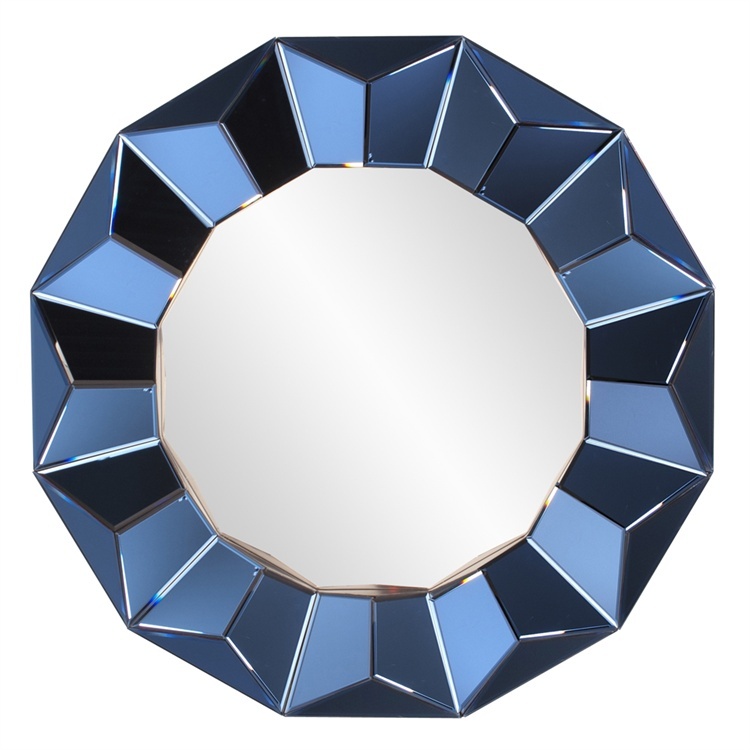 The Katy Mirror features a round frame composed of geometric mirrored panels that create a faceted pattern. What makes this mirror totally unique is the mirrored frame of the piece is made of cobalt blue glass. Each mirrored panel is beveled adding another level to its beauty and style. Its Art Deco design fits right into our Contemporary offering. The Katy Mirror is a perfect accent piece for any design. Customizable for larger orders.